$25 off any repair totaling $150 or more. $25 Off Any Brake Service! Free Towing on repairs of $250 or more. When Chrysler drivers need auto repair in Eugene, they rely on the team of auto mechanics at Action Automotive. We recognize auto repair can be stressful. You depend on your Chrysler, and when it is in the shop, your day suddenly becomes hectic. The team at Action Automotive strives for your experience with us to be as stress-free as possible. To ease your worries, we offer several amenities, including a free shuttle service or a low cost rental car. Our shuttle service drivers, have bright and uplifting personalities and will be happy to take you wherever you need to go in the Eugene and Springfield area. If you prefer, you can also rent a car at a competitive price. 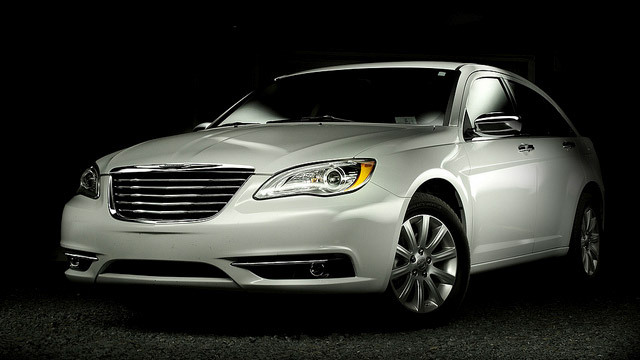 That way, while we take care of your Chrysler, you can focus on taking care of your busy day. If you are looking for reliable and thorough auto repair, you are in the right place. Our service advisors will be happy to chat with you about the options for your Chrysler and what we can do to make your day easier. We are conveniently located at 1491 West 6th Avenue, Eugene, Oregon, 97402. Give us a call now. Come in or call to make an appointment for your Chrysler today!